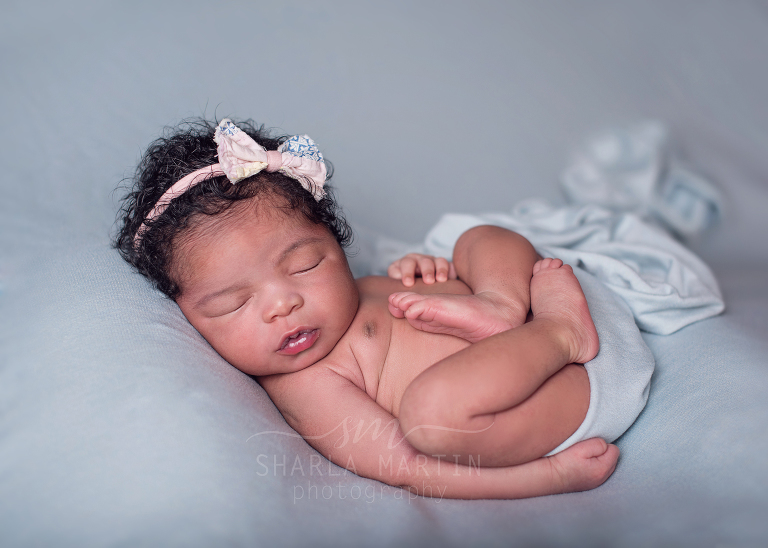 This newborn photography session at home was absolutely a dream baby session. 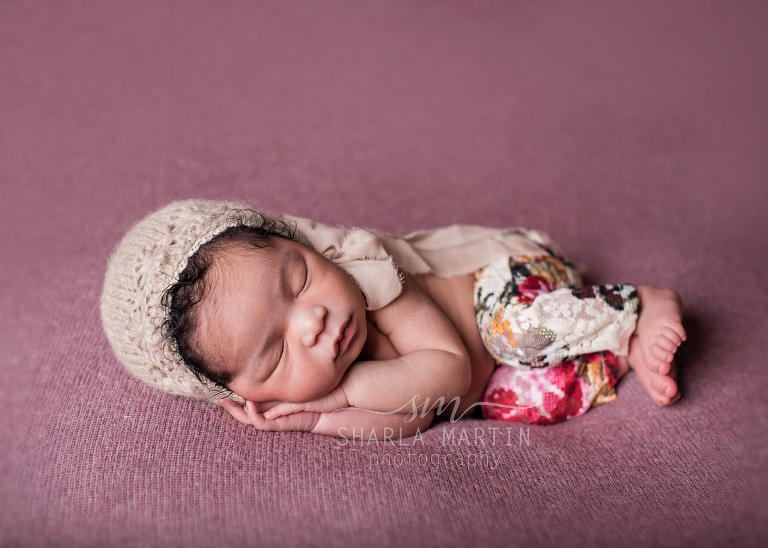 This sweet new baby girl was gorgeous. 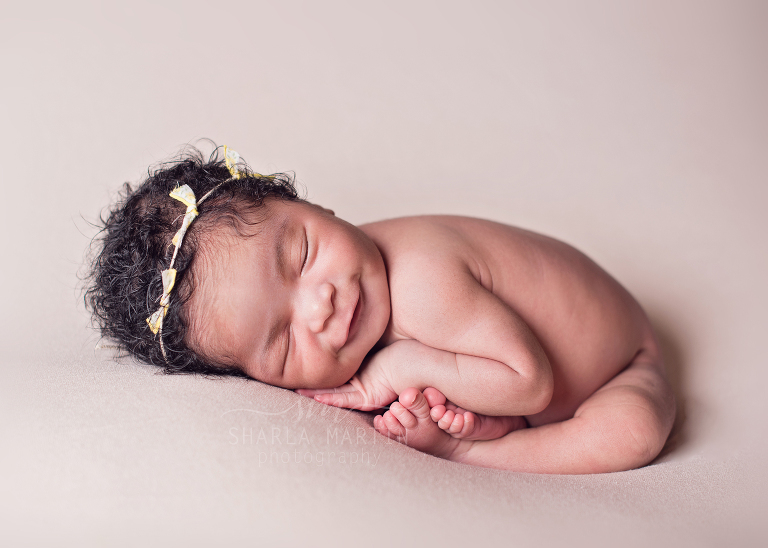 She had the most beautiful head of hair, sweet features, a beautiful smile and she was such a content, sleepy baby. 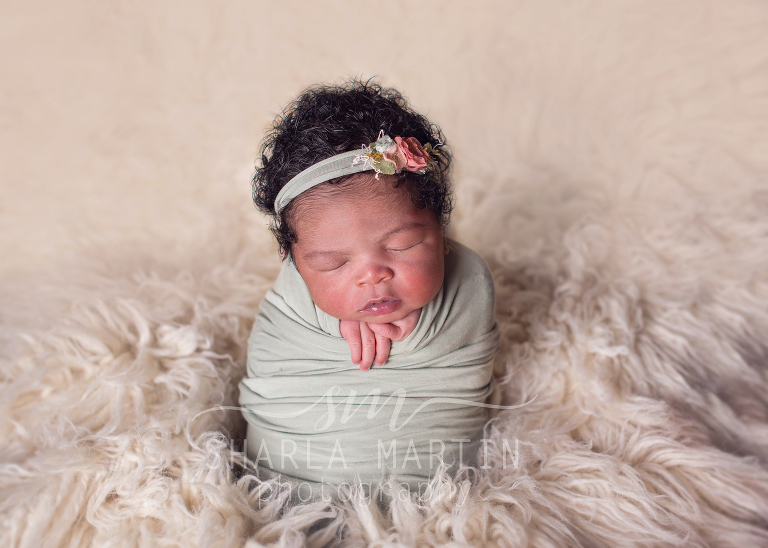 It was such a joy to be able to capture her new baby photos. Color photos are usually my favorite, although every parent receives their gallery in both color and black and white. This sweet baby’s photos are so beautiful in both color and black and white. I had to share some of the black and white photos as well.